The first thing you notice is there is not that much barking. MyMuskokaNow.com checked out day two of the Kearney Dog Sled races north of Huntsville. With nearly a hundred dogs competing in various classes, you would expect that is the only thing you would hear. But these dogs are serious athletes, and when they are not running 15 to 20 km per hour pulling their Alpha leader on a light sled, they are resting, getting something to eat and checking out the other teams. The popular race event was cancelled due to poor conditions last year, but the snow storm a couple of days back made for a great course. Hundreds turned out over the two days to urge competitors on and witness a traditional way of travel from Canada’s early history. Jim Cunningham is the Race Marshall and travels the world officiating dogsled races. He was in the French Alps last month overseeing a 300-dog event, showing the world-wide appeal of dogsledding. He looks for things like racers cutting corners, critical equipment missing from race teams or any type of interference by faster teams passing slower competitors on the course. 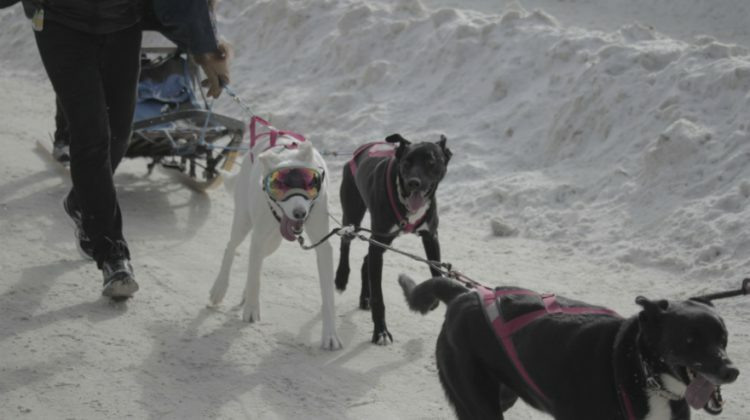 “We actually have 120-something rules in the (International Federation of Sleddog Sports) manual that have to be enforced at these races,” says Cunningham. He says the dog teams are keen competitors and you can really see it when they get to the line. 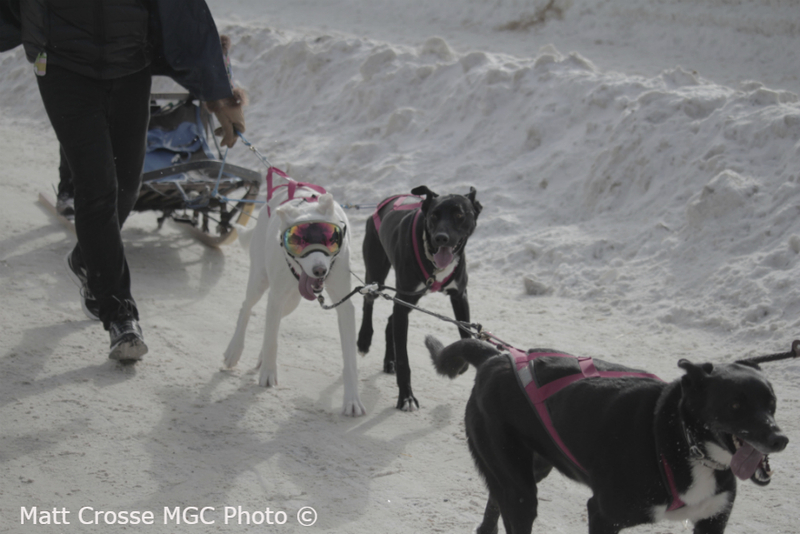 With a variety of races throughout both days involving four and six dog formats as well as one and two dog skijoring, there was something for everyone. The favourite seemed to be the kids and mutts category. A simple 100-metre race, one dog hauls a youngster on a sled, with an adult running out front to encourage a quicker time. Clearly just a bit of fun, but it seemed to get some of the loudest cheers on the day. And possibly has more than one young person wondering how fast they can go with four or six dogs when they are older.